Immerse yourselves in the nostalgic charm of a true Olde England market town. Stratford-upon-Avon is an enchanting treasure hunt location and perfect for any creative team building event. As the famed birthplace of the great William Shakespeare, its quaint narrow medieval streets are steeped in culture and rich history, eagerly awaiting discovery. Set in rural Warwickshire on the banks of the River Avon, Stratford is the ideal location to get your creative juices flowing as you visit Shakespeare’s birthplace down Henley Street with its al fresco cafes and daring street entertainers. The Swan Theatre dominates the Waterside with its fine Victorian Gothic features and a stroll up Sheep Street will find you in the restaurant quarter of town. 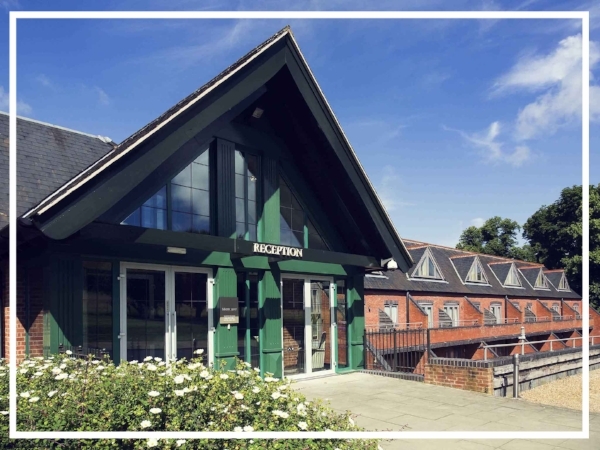 We are firm fans of Stratford-upon-Avon, meaning we are confident that we can recommend the perfect venue to suit your particular event needs. Have a chat with one of our friendly sales team on 0845 006 06 06 to discuss your Stratford team building event today! Mercure Warwickshire Walton Hall is a 4 star hotel situated just seven miles from historic Stratford-upon-Avon. Dating back to the 16th Century, the hotel is set in 65 acres of grounds and boasts a 2 AA rosette restaurant as well as a health club, pool and beauty rooms. A great base for exploring the sights of Shakespeare's birthplace, Crowne Plaza Stratford upon Avon is centrally located sitting right on the banks of the river. It has vast conference facilities with 12 meeting rooms, the largest of which accommodating up to 550 delegates. Built in 1866, the Hallmark Stratford-upon-Avon The Welcombe is a beautiful Jacobean-style house nestled in 157 acres of grounds. Combining traditional charm and contemporary decor, the property is ideal for a fantastic team building event in Stratford-upon-Avon.